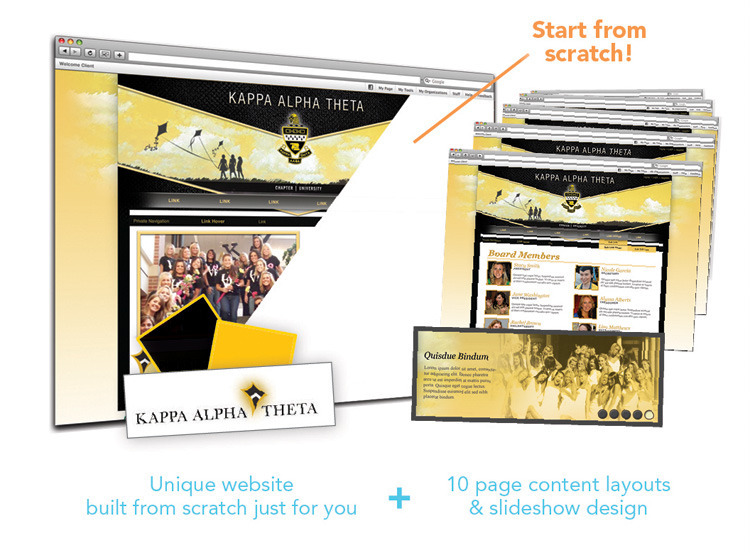 Showcase the personality of each of your campus organizations with eye-catching design. Your campus’ student community thrives on connecting with each other through campus organizations—but these organizations don’t always have access to big enough budgets to present a public face online. To help your students build their organizations, give them access to a cost-effective design solution that can help them recruit more efficiently. Celect makes community networking simple by clearly defining how your campus organization work together online. Campus life offices manage dozens of organizations—but managing spending reports and communication with your organizations isn't easy without a cohesive intranet experience. Stay connected with all of you organizations with a flexible online networking experience through Celect. Leverage accurate reporting, better engagement and campus networking info for all of your members. Syndicate campus life news from the highest level down to campus groups. Communicate and plan online between campus groups and your campus life office. Change the way members of campus organizations interact with you and each other. Public social networks give you plenty of tools for better online communication—but they don’t give you the privacy you need. With Celect, you get the communication you want coupled with the privacy you need. Empower your members to communicate more efficiently with features like groups, forums, messages, events, newsfeeds and so much more. When you have the ability to engage members across all campus life organizations, you can enrich the way your communities interact with each other. The more your members know about each other, the more enriching your connections become. Celect’s personal profile feature lets each member of each campus community create a more fulfilling relationship with the people that share their interests. The privacy your Celect community offers you and your members gives you the opportunity to share information you may not share on a public social network like Facebook. Collect dues and payments for event sign-ups online!